St. Catherine Labouré Vacation Bible School 2019 – “Roar” Life is Wild! 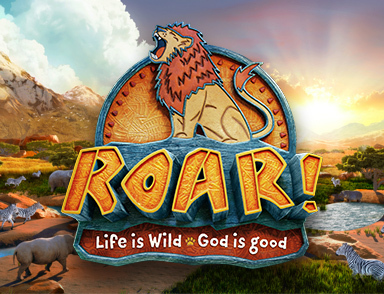 Vacation Bible School 2019 – “Roar” Life is Wild! Summer is just around the corner and here at St. Catherine Labouré Church we are planning an exciting Vacation Bible School (VBS) adventure for your kids! Are you looking for a safe, friendly and fun environment for your kids? Then sign up for VBS today! This fun-filled Vacation Bible School is for kids from 4 years old to 6th grade (as of fall 2019). This year’s program is “Roar” Life is Wild – God is Good! Children will go on an African adventure and discover a ferocious faith that will help power them through this wild life. The children will have a great time with lively songs, skits, creative crafts, exciting games, Bible stories and tasty snacks – all of the things that make VBS so much fun. To register, please print and complete the following registration form and return as soon as possible! If you would like to help out in any way, we are looking for teachers and assistants, craft helpers, snack coordination, outdoor activity planners and more. Whether you are an older child, young adult, parent or parishioner, we need your help even if you are able to volunteer your time to help one day, a couple of days or all the days. Please contact Kathy Keith our Religious Education Coordinator at kkeith@stcatherinelaboure.net or call (858) 278-0587 for more info or to volunteer.